We seem to be living in a time of great change and uncertainty with all the vulnerability and fear that accompanies that. Yet, while this is true, uncertainty is an integral part of life. It has always been this way for humans. Over the centuries we have come to rely more and more on the mind and technology to mitigate the inherent unpredictability and loss that life entails. But that is not our only resource. We have already been given the antidote. It is part of our inherent nature. It is Courage. Our human mind is hard-wired to fear loss and pain as part of our survival mechanism. For this reason, we have an enormous amount of mind-generated fear. It’s not that fear is bad. Despite certain exhortations to practice ‘fearlessness’, we actually need our fear. We would be dead without it. When faced with real, present danger, fear impels us to flee or to freeze (or it transforms into boundary setting anger). This balanced expression of fear arises spontaneously, compels us to act or to freeze and then ebbs away once the danger has passed. However, the vast majority of our fear comes from the attachments, desires, expectations and catastrophic predictions of the cognitive mind. Our mind removes us from the present and focuses on imagined future situations that we predict will be painful, embarrassing, dangerous or devastating. This generates fear unrelated to anything that is actually happening. (Actual danger would inspire balanced, appropriate fear). We spend an inordinate amount of time and energy indulging in this “future-izing”. We’ve been culturally trained to do it. This kind of fear drives us to flee rather than face a challenge, to freeze up when we need to act, to attack when it is not warranted, to accumulate unnecessarily in order to avoid loss and to generally experience a great deal of stress. So what can we do with this mind-generated fear? We have already been given the antidote. It is part of our inherent nature. It is Courage. The word courage derives from the Latin “cor” and the French “cuer”, both meaning “heart”. When we connect to the presence of Heart, we also gain access to our courage. 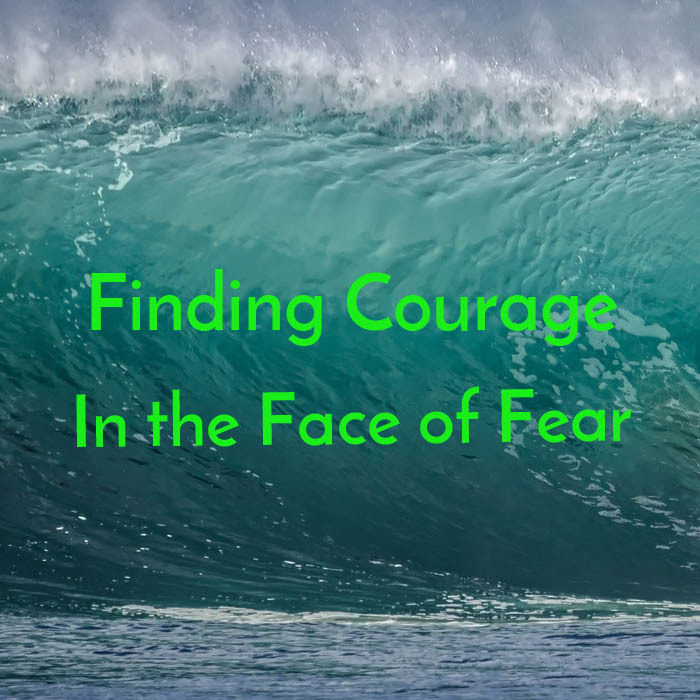 Courage is not the absence of fear but the feeling that we have the heart-connected inner resources to engage with whatever we are facing. We sense that we have the capacity to deal with the situation even if we don’t know exactly how we will do it. 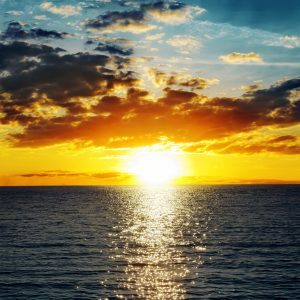 We can most effectively approach working with our mind-generated fear by drawing our focus away from the object of the fear (the anticipated outcome), bringing heart-connected compassion and presence to the experience of fear itself, and allowing the natural response of courage to arise. The most difficult part of this work is to entice our mind away from its obsession with the object of fear – the imagined future outcome which is producing the fear. Our mind wants to look for solutions in order to control the environment and maintain stability and predictability. However, as long as the mind remains un-tethered from the heart, it only becomes more concerned about the inherent lack of control we have over life. We need to persistently draw our awareness back to the direct experience of the fear, in our body, in this present moment. The next step is to engage the heart. Our mind-generated fear really needs to be acknowledged and given tenderness and compassion. Remember, this is not the kind of fear that compels you to run when you are about to be mugged. This fear comes from the fantasies of the mind. It needs to be soothed and reassured with kindness and love. Then, as we bring our compassion, tenderness and acceptance to the experience of the fear itself, we naturally engage the heart. This allows the mind to synchronize with the heart and its innate quality of courage. We sense that we have the capacity to deal with the situation even if we don’t know exactly how we will do it. I find this a profoundly helpful practice which I use all the time; for myself, with my clients and when I teach. Having received many requests to record the process I guide people though, I have finally done that. In this case a recording is worth a 1000 words because it will help you to have an actual experience of what I’m talking about. You can listen here and feel free to share it with anyone who you think might benefit.